Every business needs a plan; otherwise there is no way of measuring your growth. If you go out into this big world without a strategy, you may not even see any growth. This is why it is important for every business to have a strategy for every department. Marketing is an important part of every business and is not limited to digital media marketing. There are many ways you can advertise and boost your business through the use of technology if you know how to do it. For those that do not know where to start and what to do, here are some tips you can start applying today. Every business needs a mission statement because you need to know what you stand for. Once you have that in place, it becomes easier to guide your business in the right direction. A DM Strategy is a sure way to help with that guidance. 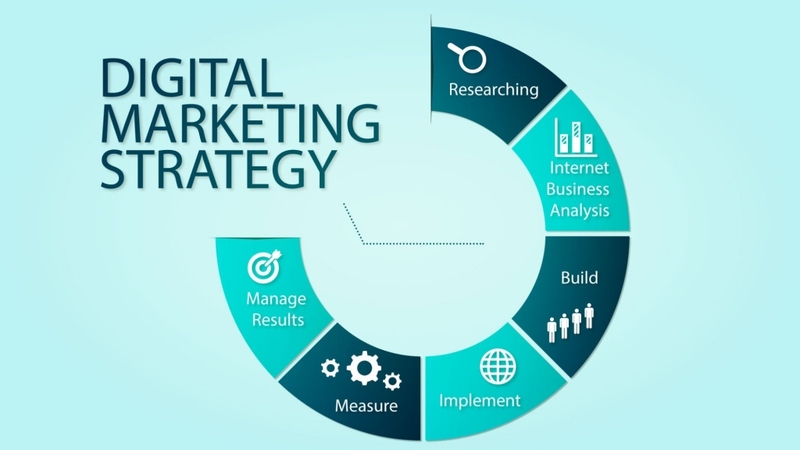 Make sure your digital marketing strategy is aligned with your mission so that everything works together smoothly. If you want to learn new lessons, you might have to go backwards for a short while. You need to look at your past marketing strategies and see why they were not successful and which parts worked out well. We can all learn from our mistakes and it is the same for business. A digital media agency can help you formulate a good visual strategy for your business and might be something you did not do in the past. Now that you know better, you will be able to create a better suited strategy. You need to know who your clients are and what their needs are. If you can establish that, you know what to give and what would be a waste of time. Focus on what works and eliminate what does not. Every business’s clients are unique and if you do not know what their needs are, you are unable to grow. The heart and survival of your business depends on your customers and their happiness is what you are trying to create. When your audience discovers that you are paying attention to what they are saying, you will start creating a relationship of trust and that is where success lies. With every marketing campaign you do, there needs to be a call to action. After your customers see your content or promotion, you need to guide them to exactly what the next steps are. Create an image or text that tells your customers where to go next and thus you will surely get more sales. I see many great articles about products, but there is no link to the order page. Maybe you are trying to promote your content on social media, but there is no share button on your website. This is a sure way to miss out on great opportunities. Always have a call to action for any promoting or marketing that you do. You want as many people as possible to find your website. That can only happen by getting your brand out there and letting people know that your business exists. You can use social media to drive traffic to your website or simply add the right keywords. Whichever strategy you use, it needs to increase your traffic numbers. Even if 1 out of 100 buys your products, you can still be very successful if those traffic numbers are high. Behind every business there is a person with a face. You need to connect with others and show that there is a human being working behind the scenes. This can be done by replying to comments or by purely creating good content. This content does not need to be about the business, but it needs to be informative. Show your customers that you care and that not everything is about sales. This is all about building a solid relationship and receiving loyalty. Your business can reach a level of success higher than your wildest imagination. There are ways and means for you to succeed, but you need a solid plan in place. Nothing is ever going to just fall on your lap, but hard work will get you there. Look at marketing strategies of your competition and if they are more successful than you are, there is something to learn. Get your brand out there and make everyone familiar with your business. Once your brand is created and known, it becomes a matter of delivering good products and services. Your marketing strategy can be good, but if your business does not deliver, it might not be respected. Do not make promises you cannot keep if you want to have a sustainable and long term business. Nothing is beyond you and with some time and effort; you can create the perfect marketing strategy. Steven Randall is an amateur guest post writer and a content manager. He finds his inspiration in drawing and meditation. Steven enjoys his life and tries to change the world for better.